…and the trail has its own stern code. Whoops, fell into a Yukon poem while attempting to type that I promised Sue Turner that I’d post her picture if she’d send it. Sue’s real name now is Sue Poshusta, and she now lives in Oregon. 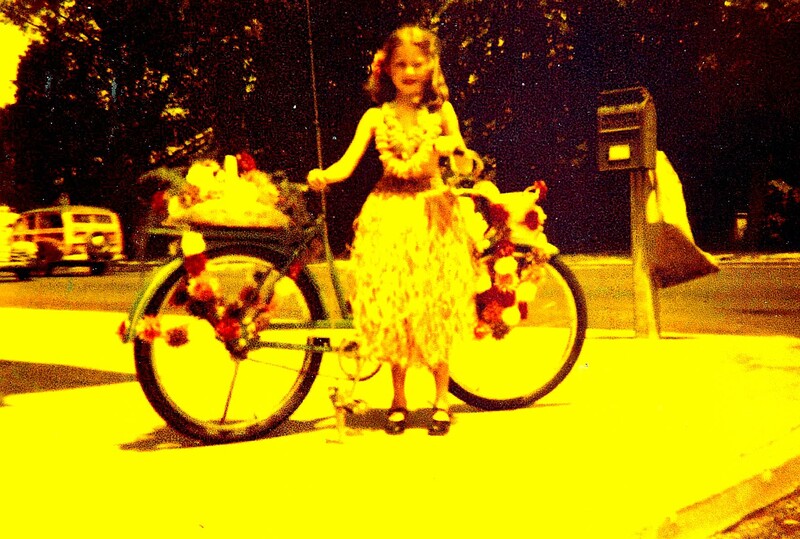 I mentioned that she wore her Hawaiian hula skirt in a bike safety parade downtown in 1951 and won a prize, and she contacted me, sent the photo, and here it is! Sue hails from Reno, she’s a Reno High girl class of ’60 and was one of the prettiest girls on the outer Watt Street neighborhood that we lived in, by Country Club Drive. 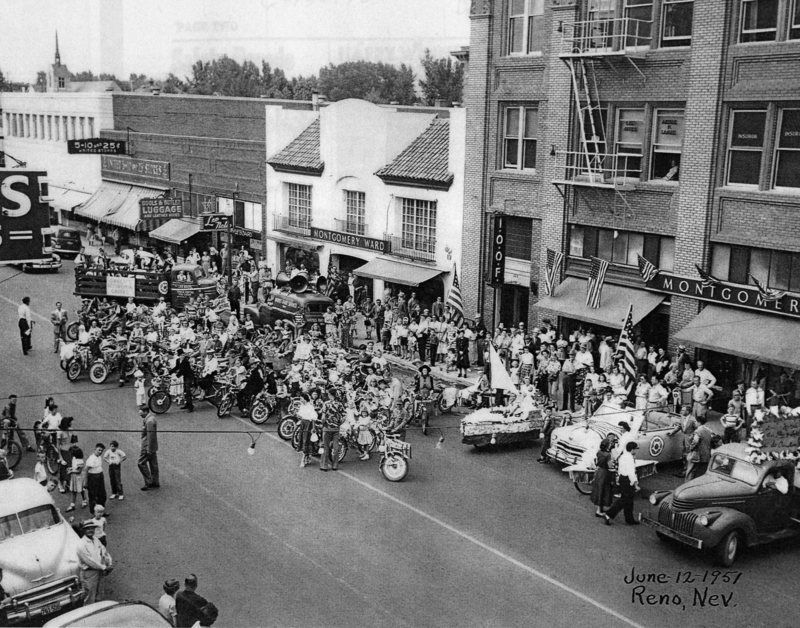 Her dad was Glenn Turner, Reno’s popular florist and I wrote that we all bought our ladies corsages from Glenn Turner Florist for the dreaded Junior Assembly dances every year. This picture is cool in that it has two classics in one picture, Sue, and a woody wagon to the left. And an old mailbox-on-a-post that we used to see around Reno. Guess that’s three classics.